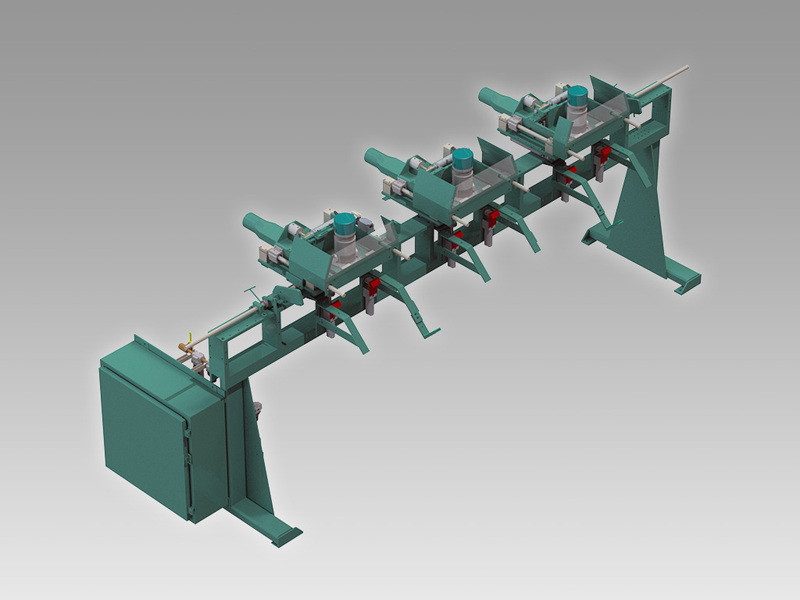 The 950-3 High-Speed Hinge Jamb Machine routes pockets for &frac58;” radius hinges. Employing three 1¾ HP routers it can simultaneously machine pockets for three hinges. After jambs are manually placed into position all other operations are automatic. Capacity is 8 jambs per minute.